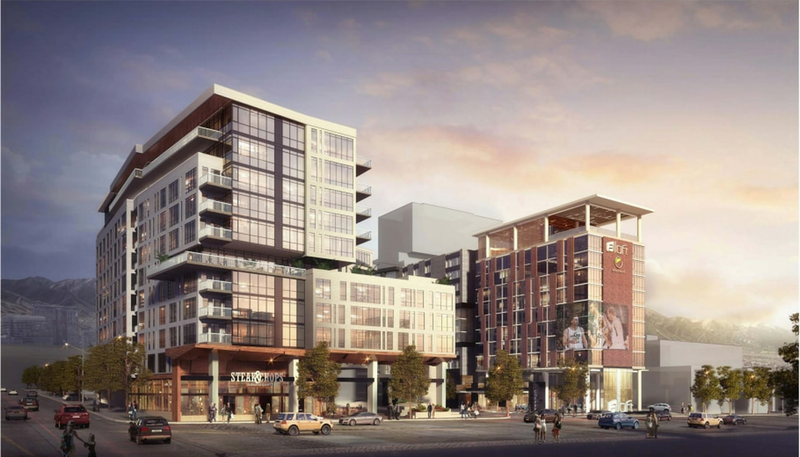 (Rendering by The Ritchie Group) A rendering of The Ritchie Group's proposed Block 67 development in Salt Lake City, as though looking east from Vivint Smart Home Arena. Supporters of Japantown along 100 South fear the development could wipe out the historic cultural enclave. Regarding the article on the front page Aug. 6, there are many parts of Salt Lake City that we need to keep and not change: Temple Square, the Cathedral of the Madeleine, Japantown, the City and County Building, Kingsbury Hall, the old Union Pacific Depot. These, and many more, are part of what make our city what it is. Remembering and respecting the past are as important as growing for the future. Japantown is as important to non-Asians like me as Temple Square is to non-Mormons and the Madeleine is to non-Catholics.